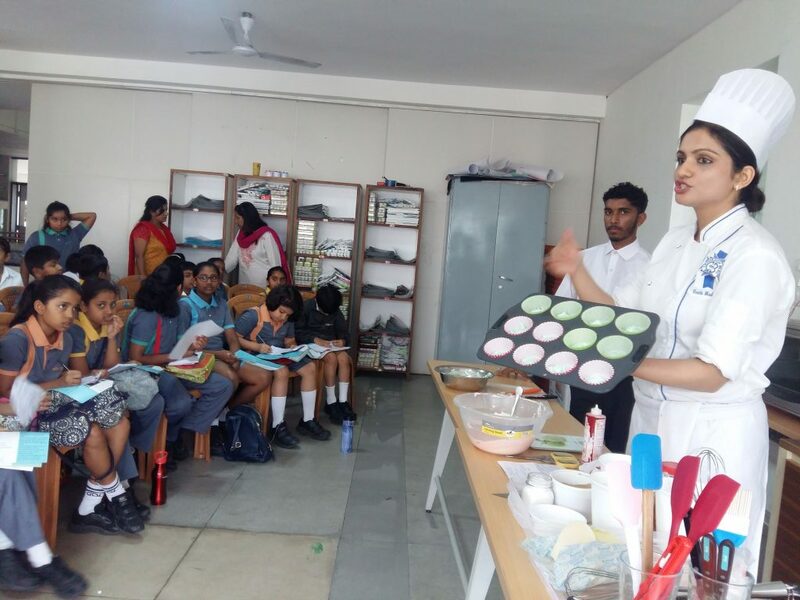 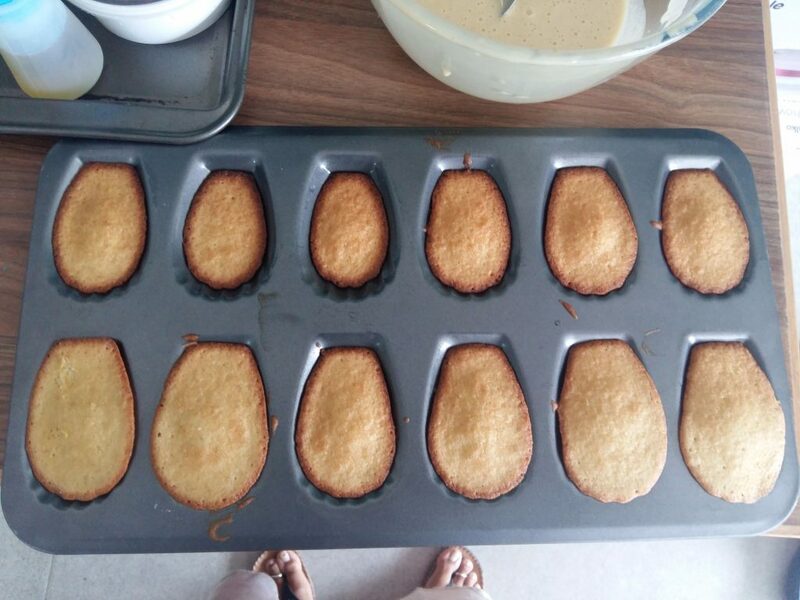 As part of our Experts@Ekya program, we had Ms. Neeth Medappa from Pastry Masterclass, organize a Baking Workshop at Ekya JP Nagar, Ekya ITPL and Ekya BTM Layout. 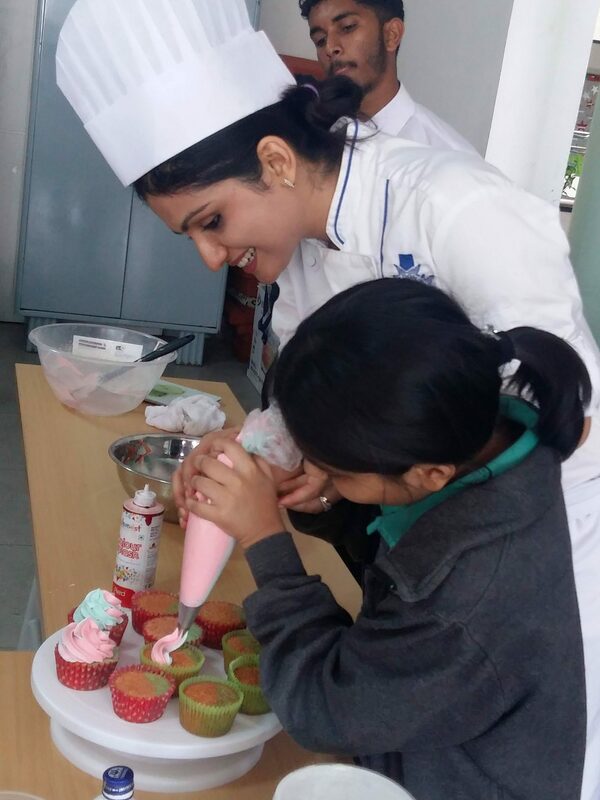 Ms. Neeth Medappa is a trained French Pastry Chef from Le Cordon Bleu, Ottawa, Canada. 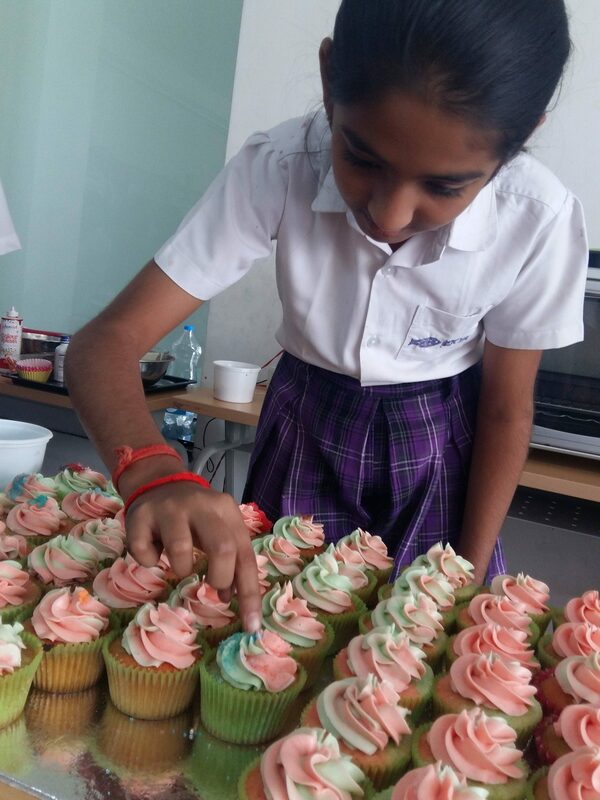 She has had over 300 enthusiastic bakers in attendance at her signature baking master-class, organized in Coorg and Mysore. 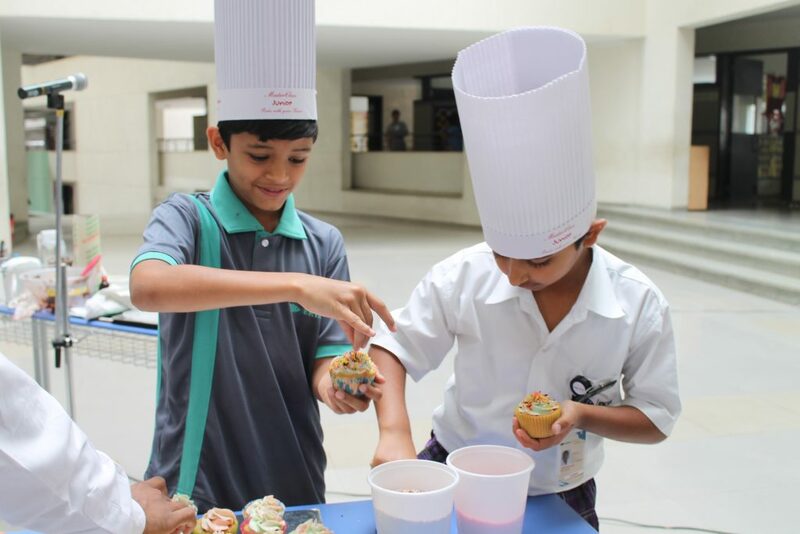 Young, budding bakers now enjoy the same experience with Ms. Neeth’s student-friendly ‘Junior Pastry Masterclass’ as did the students of Ekya at their workshop – exploring delightful recipes of pure indulgence. 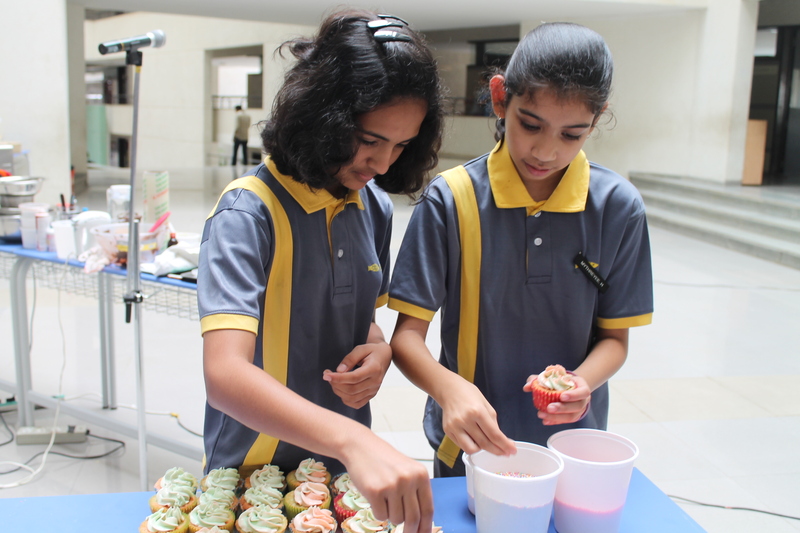 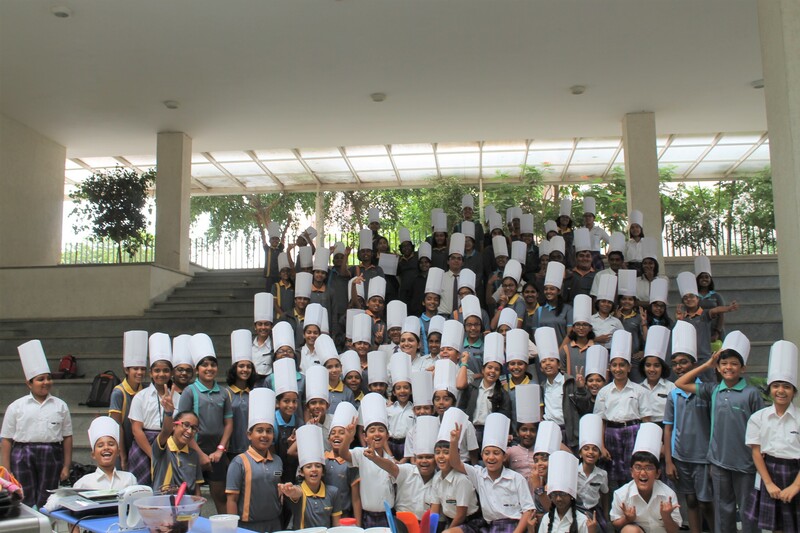 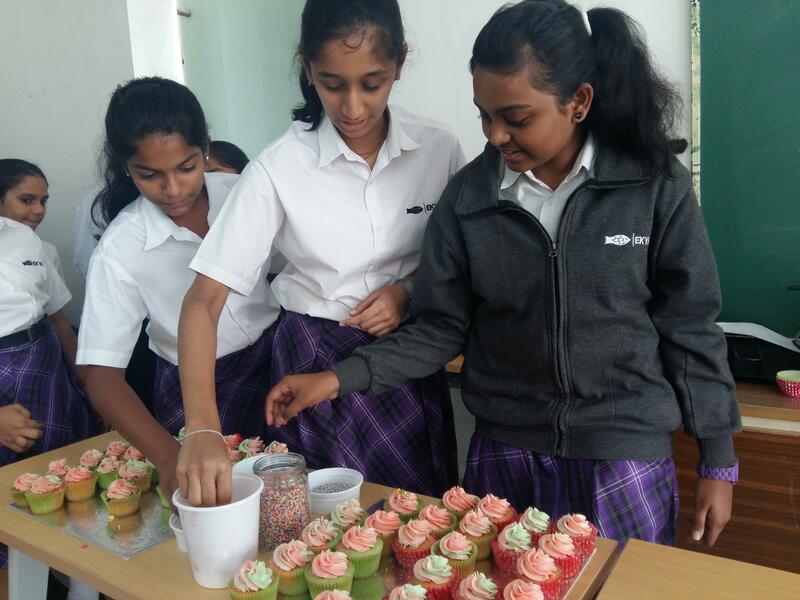 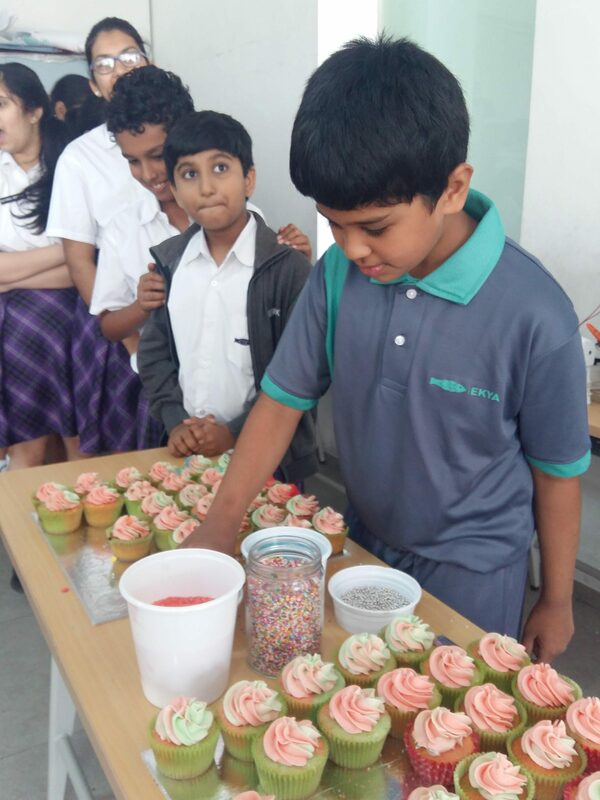 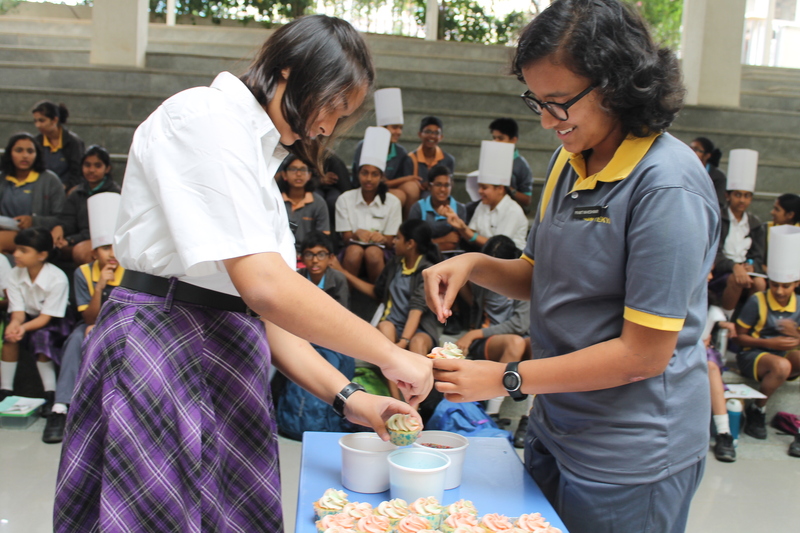 Students from Grade IV to Grade XII learnt the fundamentals of baking with essential kitchen safety techniques and were able to whip up some simple yet delicious treats in no time. 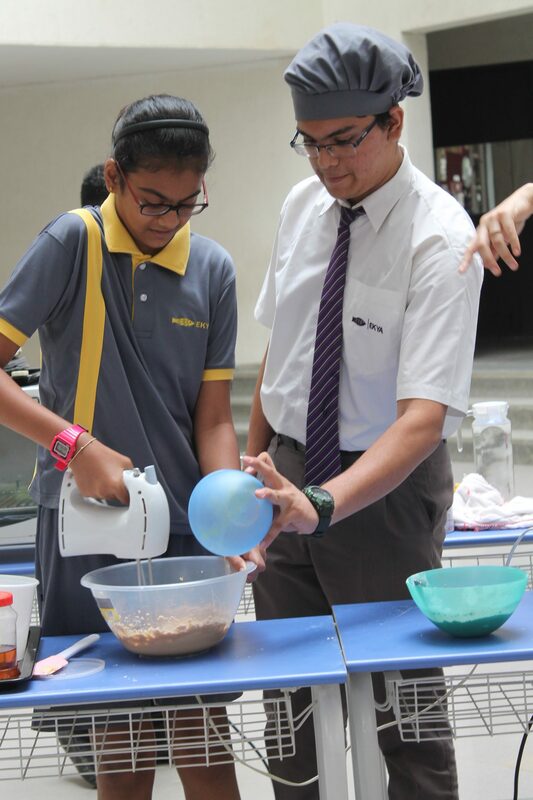 The enthralling three hour session started with an introduction to baking and was followed by a live demonstration of recipes. In addition to playing with dough and frosting, the children got their hands on baking manuals to help with their future baking endeavors. 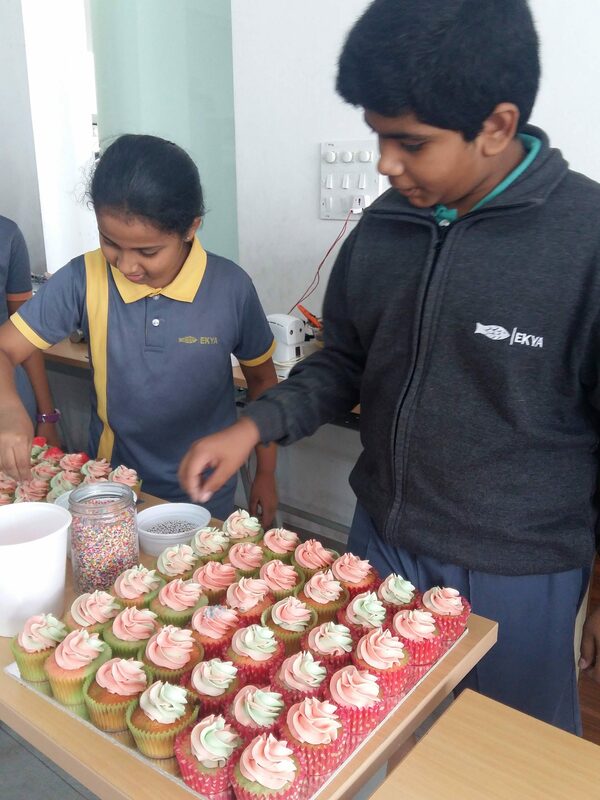 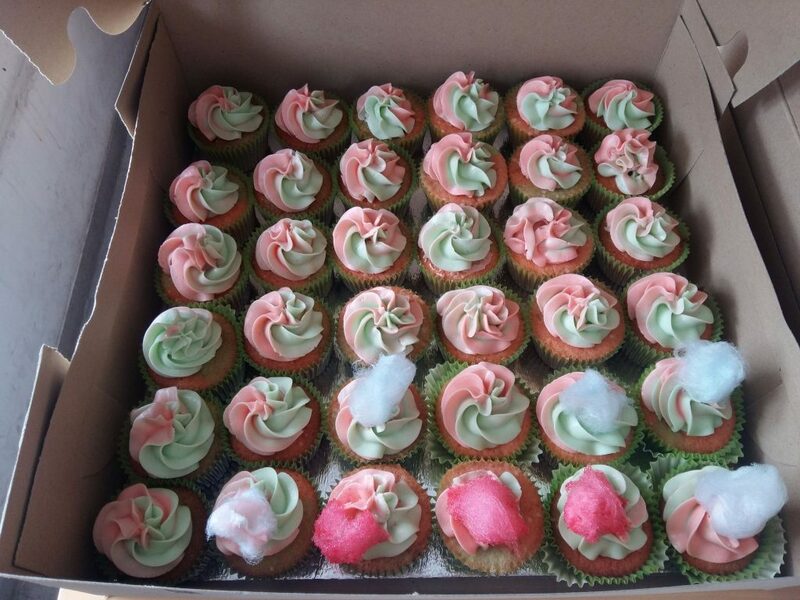 Our young bakers put their taste-buds to work at the end of session, taking a bite full of the delicious cupcakes and biscuits. 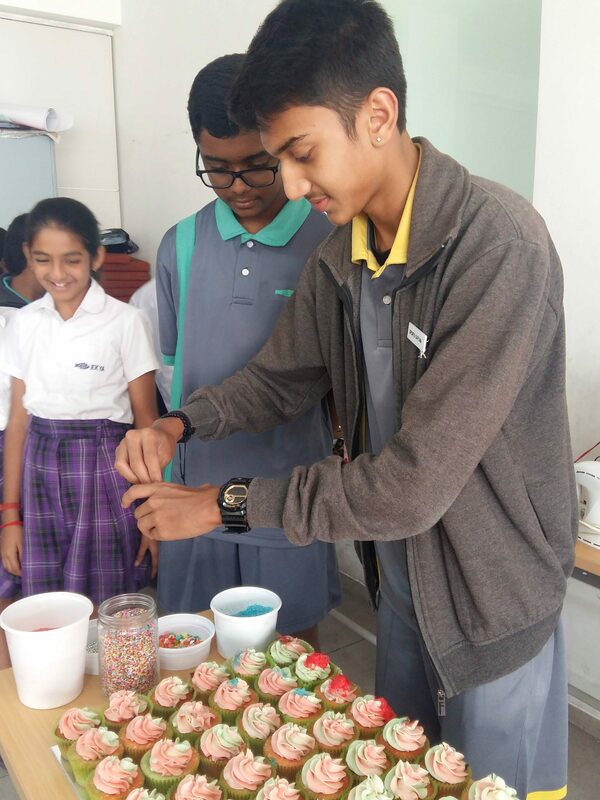 The workshop concluded with our guest speaker addressing questions from students in an interactive Q & A.